… today is President’s day in the US and I got to enjoy a long weekend. 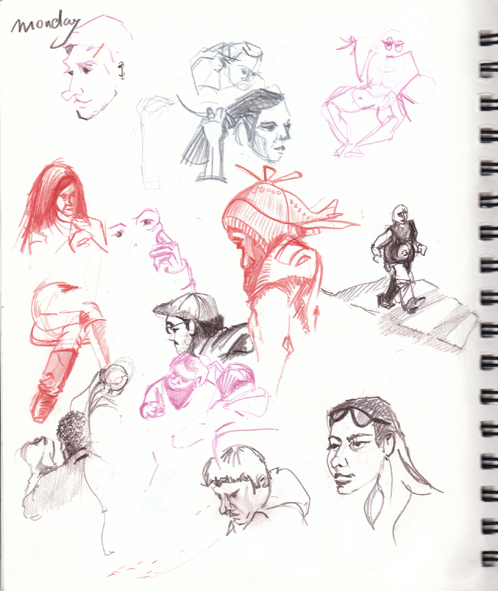 I spent the best part of the day in Dolores Park Cafe sketching people. The act of capturing faces and gestures with my minds eye and reproducing them with my hands fascinates me. I am always amazed how drawing random people at random moments somehow connects me with myself. Hi , Love your stuff! I just read your intro on bayarea Urban sketchers and thought I would leave a note!